This postprocess material allows you to create the effects for real-time sensor simulation of optical sensors in the EO or IR passband. post_sensor_green - material that is used to amplify near and far infrared emission. post_sensor_heat, post_sensor_red - material that is used for simulation of industrial thermal imagers. 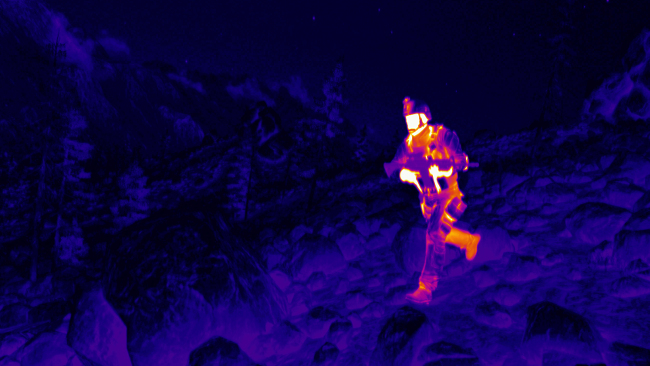 post_sensor_white - material that is used for simulation of military thermal imagers. To apply the postprocess material, choose Windows -> Rendering settings (or press Alt+R) and specify the material name in the Post field. 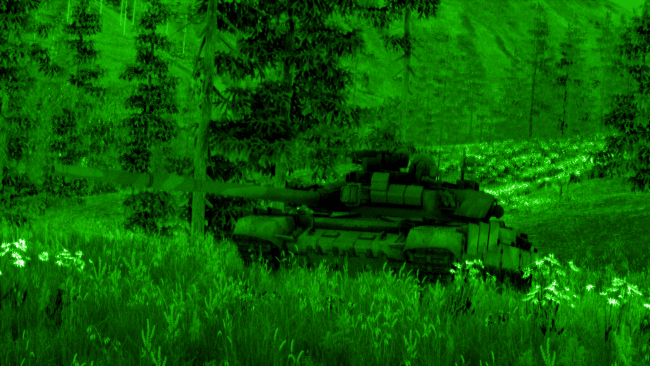 For all objects that should be visible in the IR spectrum the Auxiliary pass should be enabled. All objects that should be visible after applying the material should have a thermal map specified as the Auxiliary texture in the object's material. 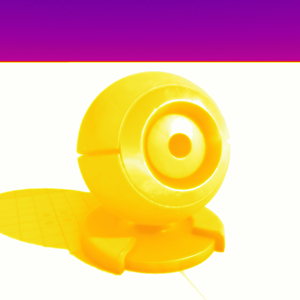 In case of the post_sensor_green material, the auxiliary texture will be used as a glow texture. The Auxiliary texture is a 3-channel texture (RGB). Each channel stores a temperature value in range [0;255]. In the post_sensor material, this range is represented as [0;1]. 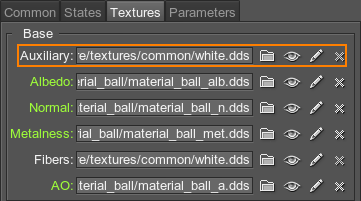 So, the white texture stores a temperature value in range [0;3]. If the object's temperature is low (in range [0;1]), the auxiliary texture with 1 channel will be enough. For higher temperature, you should add the other channels. The temperature value is obtained from the thermal map (the auxiliary texture) by adding the temperature values stored in the texture's channels. In parallel, the temperature value stored in each channel is multiplied by the corresponding channel of the Auxiliary color specified in the object's material. Vision LUT texture is used to map the sensor temperature (its values vary in range [0;1]) to the color familiar to human eyes. For example, objects with high temperature can be represented by using different gradations of the red color. An alpha (A) value is not used. 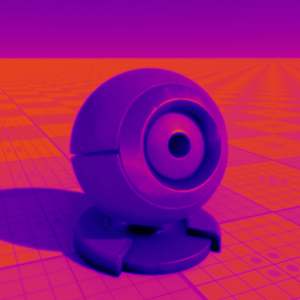 Ambient heat occlusion is a value that shows influence of SSAO on the temperature obtained from the thermal map. The higher the value, the higher the temperature in the shadowed areas (these areas will get cold more slowly). The lower the value, the lower the temperature in the shadowed areas (these areas will get cold faster). Influence scene power is a degree of impact of the scene color on the resulting temperature. By the value of 0, the scene color won't affect the resulting temperature. Influence scene scale is a coefficient for increasing intensity of the scene color. Global temperature is a global temperature of the scene that increases or decreases the resulting temperature displayed by the sensor. Sensor blur power is a radius of the blur effect applied to the temperature displayed by the sensor. Sensor blur detail is a coefficient that allows adjusting sharpness of the blur effect. Motion blur strength is a coefficient that controls blurring in motion (how blurred the displayed temperature will be when the camera moves). Noise count is a level of the color noise. The lower the temperature in a specific area, the higher the color noise level will be. Noise granule size is a size of the color noise. Auxiliary buffer power is a degree of impact of the temperature obtained from the thermal map on the resulting temperature displayed by the sensor. Auxiliary buffer scale is a coefficient to scale the temperature obtained from the thermal map. 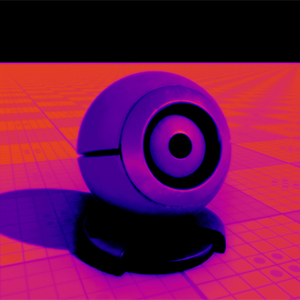 Sensor LUT shift is an offset of the resulting temperature in the vision LUT texture. This value can be used to correct mapping of the temperature to the color. 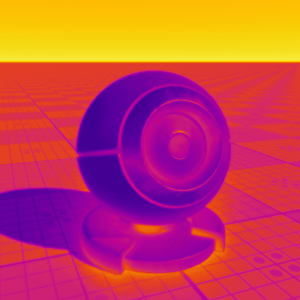 Sensor LUT scale is a coefficient to scale the resulting temperature when mapping the temperature to the color.